1. We have about 5 gazillian pages excactly as minor as this. 2. We can get a link to it on the Items page. 3. There's enough information on this page to be an actual article. You know, the article states that the crisper seems to have two carrots and a green vegetable. It's also possible (quite likely actually) that the "green" may also be the carrot... tops. 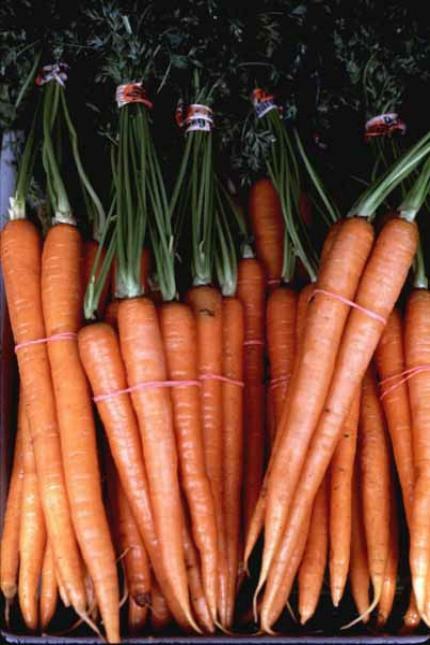 You can buy carrots with their green tops that you can cut off. And it usually looks (or at least is drawn) fluffy much in the same way the crisper drawer depicts them. So it could go either way and should be mentioned. If those are the carrot tops, than those are extremely long carrots. This page was last modified on 5 January 2008, at 04:21.